1967 Chris Craft 45 Motor Yacht A beautiful example of a 1960's wood Chris Craft. The owner of Magnolia also owns Haines Vintage Watercraft in West Chester, PA. It is his showpiece and bares the following awards: 2004-2007 Scored First Place Points "Classic Yacht Club of America" 1998-2010 Best In Class Wood Boat Over 40' "Boat Show A.C.B.S. Boat Show St. Michael's, MD 2011-2014 Best In Class "Classic Yacht Club of America" Almost very system on the boat has been rebuilt or replaced to keep the boat true to its period. Shed kept in freshwater most of its life. The current owner is the 4th owner and has put over 11,000 miles on the vessel. A detailed list of upgrades and maintenance records are available. 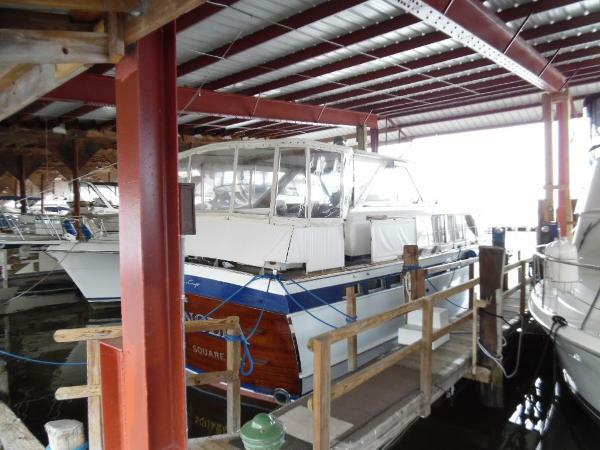 The seller would consider a small fiberglass boat or a travel trailer as a trade.